Today kicks off Senior Week at my university! I'm so thrilled to be graduating at the end of this week, but it's admittedly bittersweet. I'll be going to a baseball game tomorrow night and spending lots of time celebrating with friends and family over the next few days. I can't wait to have some fun before beginning to work full time! Today's post features the products I was loving this month. Some things are new and others are old favorites. I didn't get a chance to play with makeup as much as I had hoped this month as April was full of final coursework, so I'm looking forward to some new favorites come May! Make Up For Ever Ultra HD Foundation: The past several weeks have been extremely chaotic for me and my skin has been receiving the brunt of my stress. I had a lot more texture/breakouts than I normally do throughout April and found myself reaching for my Ultra HD Foundation nearly every day. I love that it is full enough coverage to conceal any obvious spots. I also like the fact that the foundation isn't heavy on my skin, so I don't get stuck in the endless cycle of clogging up pores to hide breakouts, in turn creating more breakouts. Makeup Revolution Vivid Baked Highlighter in Golden Lights: This month I was really feeling a golden shimmery highlight. I think in part it's due to my longing for warm sunshine. Summer can't come fast enough! These MUR highlighters provide such an intense glow without looking too glittery and they're incredibly affordable. This shade has quickly become a favorite in my collection. Nyx Epic Ink Eyeliner: I wore eyeshadow many days this month which is not super typical for me. As you may have read in my Dupe or Flop post, the Nyx Epic Ink Eyeliner performs amazingly when applied on top of eyeshadow primer. It lasts all day, does transfer, and doesn't flake off. As a testament to how much I've been loving the Epic Ink liner this month, lets acknowledge the fact that I only grabbed my Kat Von D Tattoo Liner a couple times this month (when I wasn't wearing eyeshadow) - I think that's saying a lot! Colourpop Pressed Eyeshadows: I've been obsessively using these Colourpop shadows ever since I ordered them, particularly the shades The News and Top Notch. They're both so pigmented and blend out so easily, making them super useful for mornings where I only have limited time to slap on some makeup. I will definitely be purchasing more of these as soon as I get a bigger magnetic palette. If you're interested, you can read my thorough reviews of these shadows here and here. Real Techniques Miracle Mini Eraser Sponges: I tend to have a tough time blending in foundation/concealer in the indentation between my eyes and nose and underneath my eyes with my regular sized Real Techniques sponge. I generally just pat it in quickly with my fingers, but I end up with uneven coverage in that area. This month I remembered that my boyfriend's mom put these mini Real Technique sponges in my stocking for Christmas! 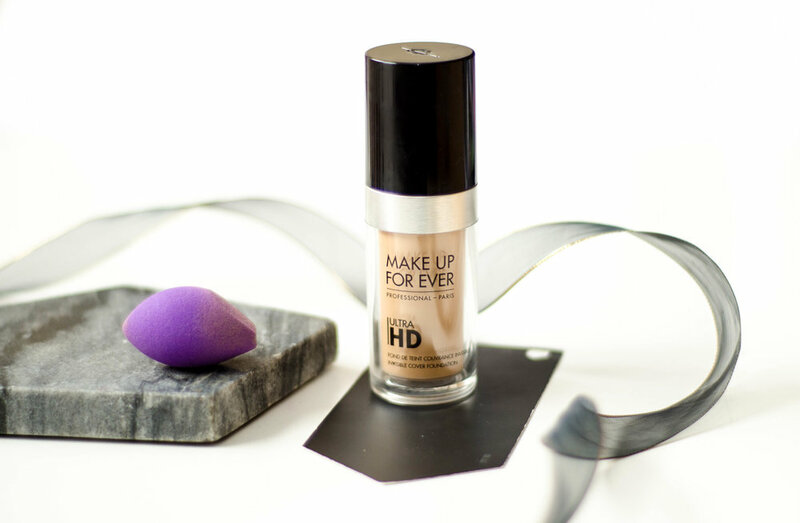 They have been incredibly helpful in blending face makeup into those hard-to-reach spots. Despite being so tiny, they expand super well when dampened and are just as soft and bouncy as the regular Real Techniques sponge. I don't think I'll ever go back after using these! What products were you loving in April? Leave a comment below, I'd love to hear!